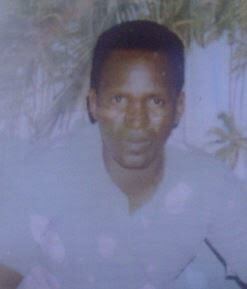 Thembelakhe Mati (50) was from Ntabankhulu in the Eastern Cape. On 13 August 2012 Mr Mati was killed after he was shot in the leg. Initially the state pathologist claimed that he was stabbed; however it emerged that he died from a gunshot wound, probably from a ricocheted bullet. He was the only employed person in the family and left behind his wife and six children, as well as his mother and three sisters. According to his cousin, Lanford Gcotyelwa, “I only heard about his death on 17 August 2012. He was found in the mortuary. He was taken by the SAPS to the mortuary. He had a gunshot wound in the buttocks. He was seen being shot as he ran towards the informal settlement.